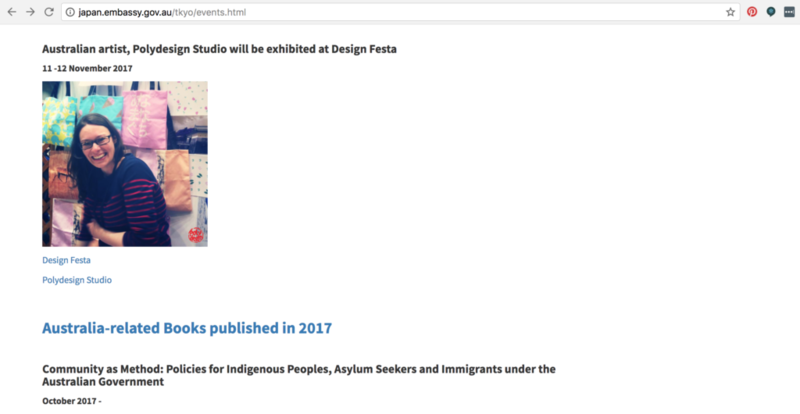 Just a quick update to let you all know I will be back at Design Festa again this year! Stand G-455 at Tokyo Big Site on the 11th and 12th of November 2017. The image above is a grab of the Australian Embassy in Japan website (cultural events section) – thank you to the staff who offered to promote the event, it is really appreciated. Proper post to follow when I have more time!